This course is a new concept in learning and is designed to fit into our busy daily schedule. The course is also very useful for managers who want to have a simple training program for their team members so the team has a common awareness of what PRINCE2 is. A common language and basic understanding is important for the success of your projects. 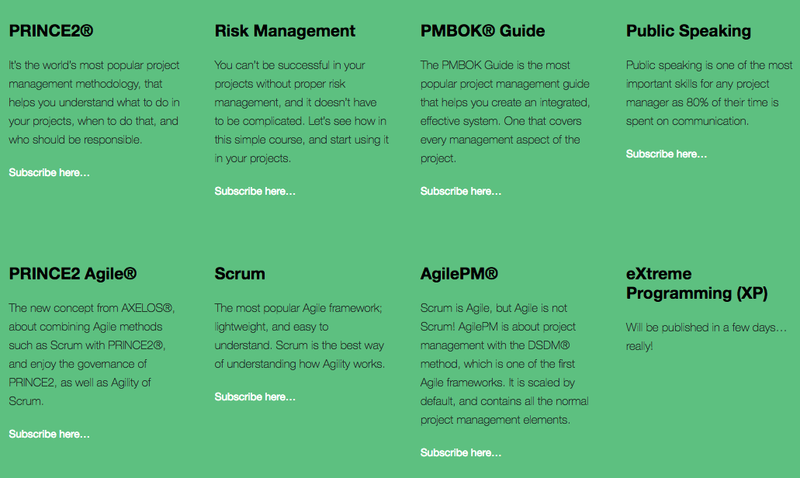 You can choose from PRINCE2, Agile, Scrum, PMP, Public Speaking, Risk Management, AgilePM and the PMBOK.